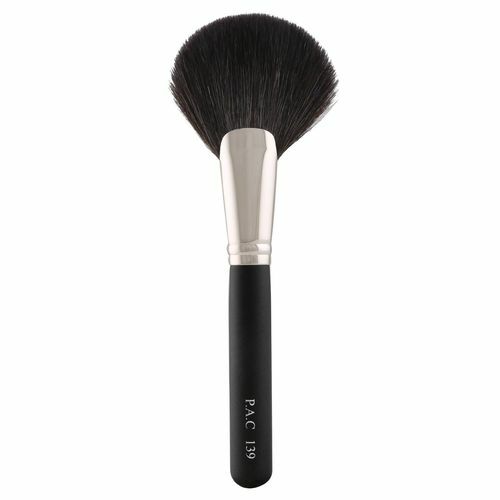 PAC Flat Fan Brush 139 is a multipurpose brush for highlighting/bronzing. It is crafted into a blend of natural hair fibres to form a rounded full fan, giving it a precise soft look. This medium-sized fan brush can also be used to swipe out excessive fallouts. Adds definition in one swipe.